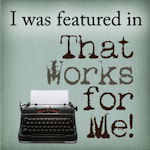 Finally, I have a post up today! 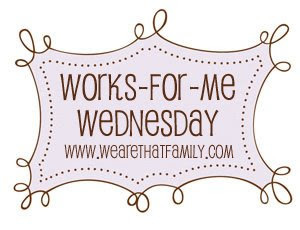 It's Works-For-Me-Wednesday at We Are THAT Family. 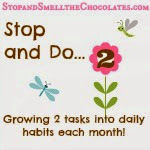 Be sure to stop over for hundreds of great tips! Though I love to use fresh herbs and spices when I can, it's just not always practical. I have a cupboard bursting with a collection of dried spices. I like to try a lot of recipes, so I seem to need a variety of spices (sadly, many are rarely used more than once or twice). Haven't you always wondered how long you're supposed to keep the spices? Seems like I am always hearing 6 months to a year. After a little research, I discovered that it's quite alright to keep dried herbs and ground spices for up to 3 years. And whole spices can be kept up to 4 years. Dried spices should be stored in a cool, dry, dark place. If you notice any change in color or smell, or no smell at all, it's time to toss. One good idea I've heard is to write the date you open it on the container. Somewhere along my cooking journey, I heard another tip. I can't remember if it was from a cooking show or in a book. When using dried spices, crush and rub them together in your hand before adding to food to help release the scent and flavor. If you heat them up a little, it also releases the scent and flavor. Just a couple of "spicy" tips that work for me! Happy cooking! P.S. 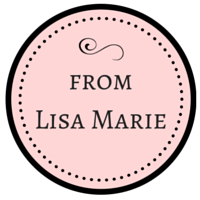 I have a post over at Chic Critique today - check out my virtual makeover! Oh you are so on it today my friend. How ever would I have survived my day without this tidbit of information. I feel so much more empowered now! LOL. You know I love you. And it's good to know that stuff. I had always heard 6 months too. I do go through some spices though. Big SPICY Hugs to you today my friend. Ooooo, thanks for the tip. I did not know that! Great tips. Just a little weird bit of trivia - The McCormick spice company had an ad in magazines a few years back that actually said that there were some telltale signs that your spices (their spices) were too old - such as the type of container, the location (changed as well), etc. It was a very interesting sort of fyi.